A retreat for the senses, Paradise in the Mountains is surrounded by the wonder and majesty of the Great Smoky Mountains. If you've been seeking an escape from the everyday grind, this gorgeous 7-bedroom (plus 2 lofts), 7-bathroom cabin is just what you need. It offers room for up to 28 guests, and it's loaded with luxurious amenities and the comforts of home. At each turn, you'll find incredible attention to detail, from the woodwork and stain to the classic mountain décor and high-end finishes. 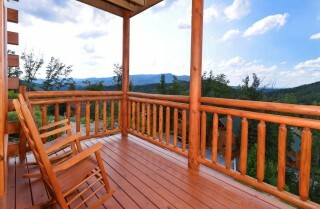 What a beautiful Pigeon Forge retreat for families and friends! 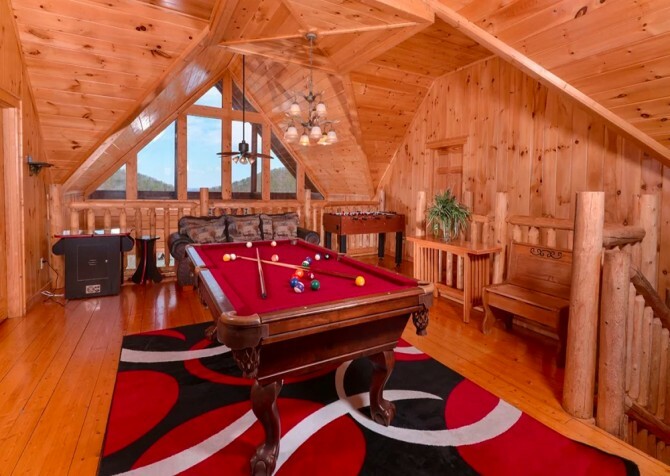 Along with the awesome amenities – including a theater room, high-speed Wi-Fi, private indoor pool, Blu-ray player, arcade games, game tables, and TVs in every bedroom – Paradise in the Mountains boasts some of the most awe-inspiring views you'll find in a Smoky Mountain cabin. Just imagine starting your mornings with a cup of coffee as the sun rises over the mountains or ending your evening with a glass of wine underneath the stars. No matter where you spend your time here, you're sure to stay relaxed, be entertained, and make memories that will last a lifetime. A simple yet elegant space to chat and watch TV, the living room in Paradise in the Mountains is open to the kitchen and dining area. Sit down on the stylish leather sofas and flip on the flatscreen TV to watch your favorite shows or movies. A beautiful stone fireplace anchors the room, and windows on either side frame the gorgeous mountain views. While others cook or eat, enjoy a peaceful afternoon relaxing here. And don't forget your favorite board games and card games – the coffee table here is perfect for a family game night. The kitchen is the heart of the home, and with a group of 28 guests, you'll likely spend a lot of time preparing meals or making snacks to enjoy around the cabin. With warm wood cabinets, beautiful countertops, and new stainless steel appliances, this kitchen will make that time a joy! Please the whole group by stocking up with everyone's favorites at the grocery store before heading to the cabin. Then sit down for a family-style meal at the dining table that has room for 12. The beautiful wood table is waiting for you to gather, enjoy delicious food, and make lasting memories. You can even set out a buffet of snacks or set up a hot chocolate station or cocktail area at the wood bar along the wall. 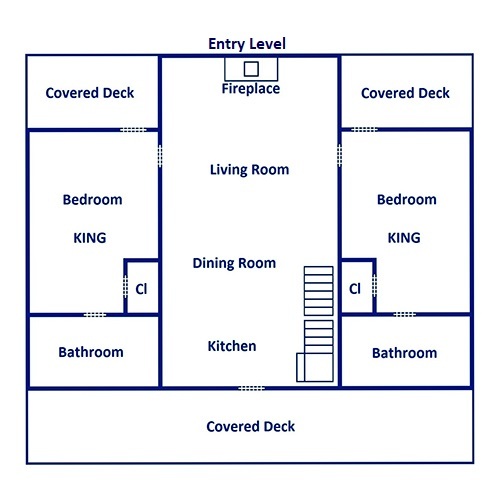 As you eat and talk, the kitchen, dining area, and living room here will be a wonderful gathering place. Seven of the bedrooms in Paradise in the Mountains offer king-size beds where you can catch up on some much-needed rest during vacation. Every guest will have a comfortable retreat after busy days in downtown Pigeon Forge or long hikes in the Great Smoky Mountains National Park. 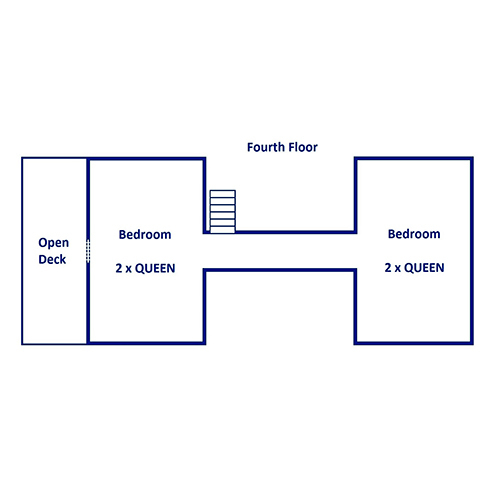 Eliminating the fight for the master bedroom, each room is a beautiful and spacious suite all its own. 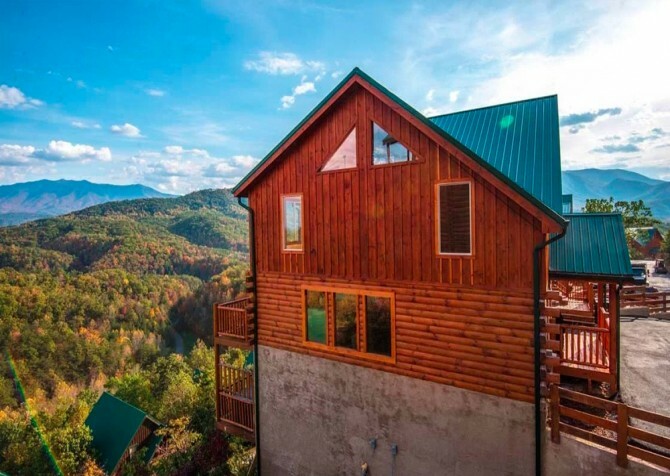 The bedrooms have their own TVs, private jetted tubs, and windows that allow you to wake up to that gorgeous Smoky Mountain view. 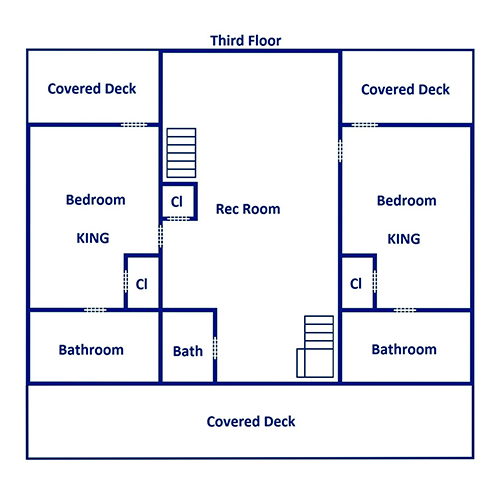 Families will have plenty of space, and couples will have the privacy they want. There are even seven bathrooms, so you won't have to share! 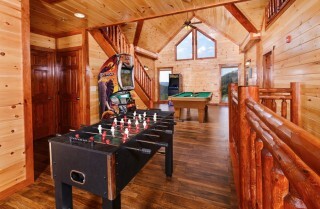 Offering enough space for up to 28 guests, this Pigeon Forge cabin also features 2 queen bunk beds and a sleeper sofa. All the bedrooms also feature more of the classic mountain style, including log furniture and inviting wood interiors. 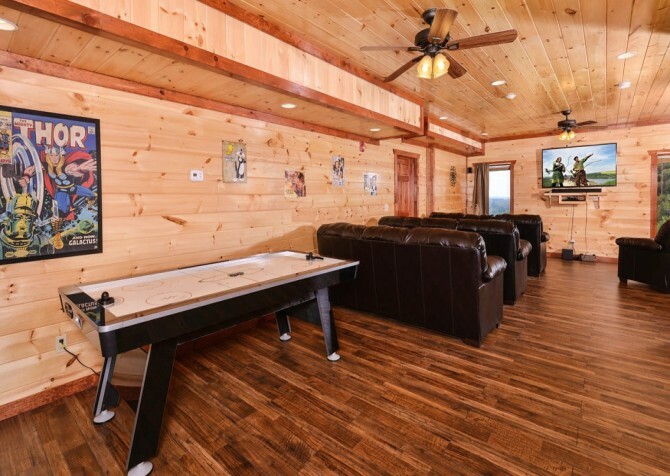 Movie nights and ball games will never be the same once you experience them in the gorgeous theater room of Paradise in the Mountains. Plush leather sofas offer comfortable seating during flicks, and a big screen TV offers a great view for all. There is even space on the floor for the little ones who would rather toss down pillows and blankets during movie marathons. In the back of the room, kids (and kids at heart!) can play air hockey while watching the movie or game. Want popcorn, candy, and drinks without missing anything? Head to the back of the room, where you'll find a mini fridge and microwave for making snacks and keeping drinks at hand. Bring along your favorite Blu-ray movies, or grab something new that you've been dying to see. 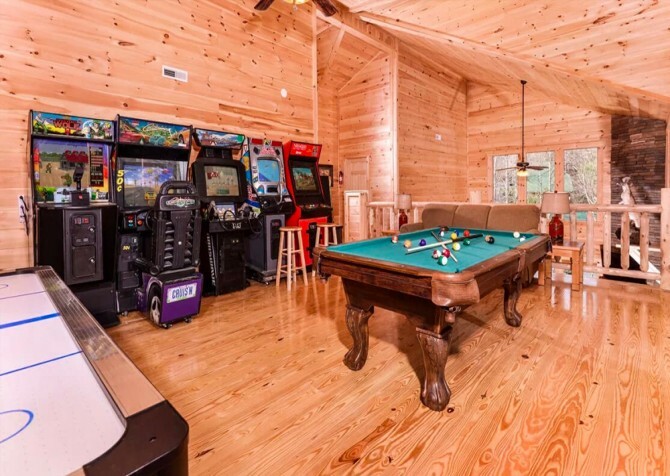 A fun space for those who want a little more action, the rec room is loaded with games and fun for all ages. The gorgeous stained wood brings warmth into this space, and high ceilings make it feel open and bright. Take in beautiful views as you hang out here and play arcade games, pool, and foosball. While there are plenty of things to do in nearby Pigeon Forge and Gatlinburg, you'll find yourself spending hours with family and friends in this great rec room. 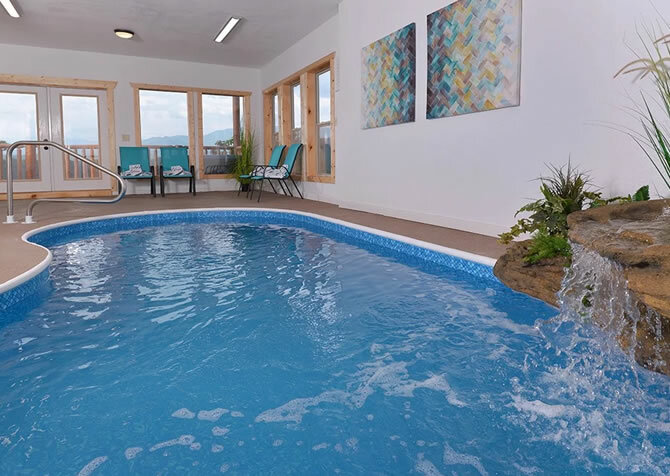 Year-round fun for the kids and relaxation for the adults is what you'll get with the private indoor pool at Paradise in the Mountains. 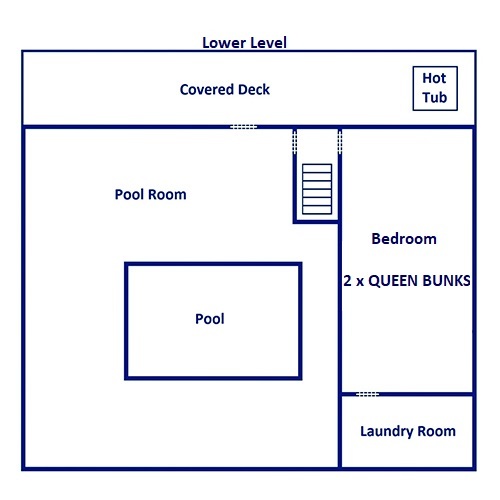 Simply walk downstairs to enjoy swimming, floating, and splashing around in your private oasis! Grandparents can sit back in the chairs with a drink as the kids expend some energy before bedtime. With this incredible amenity, you'll never feel trapped in your cabin. Whether it's rainy, too cold, or too hot outside, you'll always find fun inside your home away from home. The outdoor spaces at Paradise in the Mountains are just as impressive as the interiors. When you need a breath of fresh air or just want to get a better view of your beautiful natural surroundings, head out onto one of the four levels of decks. All 28 guests can be outside without feeling crowded, taking in the stunning scenery. Toss some steaks on the charcoal grill, sit back in the rocking chairs with a glass of lemonade, or unwind in the outdoor hot tub. Screens around the tub provide privacy, and a covered deck means you can enjoy a soothing soak even when it's raining or snowing. 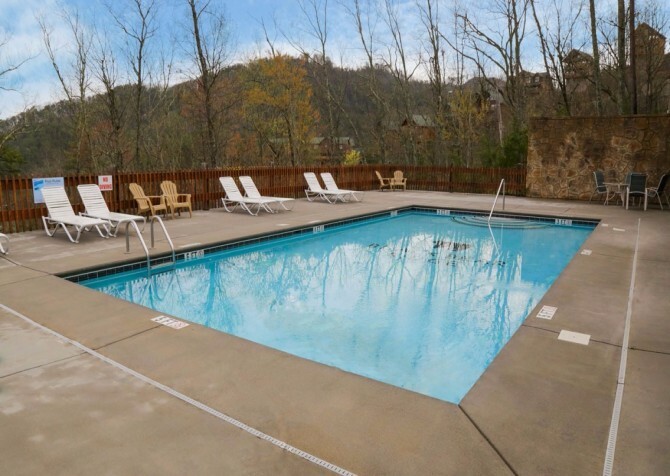 The list goes on and on at Paradise in the Mountains, offering the amenities and conveniences you want in a Smoky Mountain retreat. 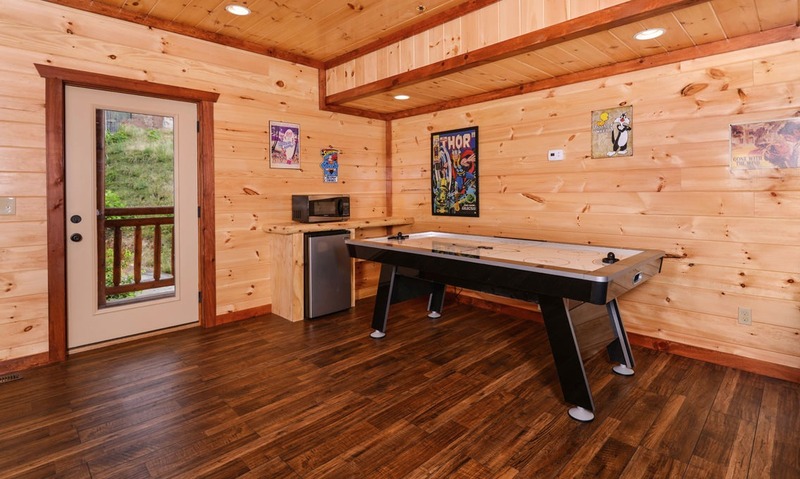 When you've spent hours on the trails or a day in your private indoor pool, you'll appreciate having the washer and dryer in the cabin. 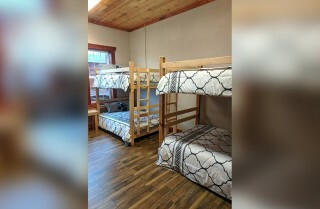 It also features high-speed Wi-Fi, which is great when you want to look for group deals at area attractions or see what events are going on during your stay. You can also check out our blog, which features area tips, event information, and easy recipes to try in the cabin. And while the cabin offers all the amenities you could need, you'll also have access to some of the community amenities in the Black Bear Ridge Resort! One of the newest Pigeon Forge attractions, the coaster features more than one mile of downhill track that will get your heart pumping! More than 150 games will keep everyone entertained at the biggest arcade in the Smokies. Walk through the giant jukebox to find the classic games of your childhood and the newest games that kids will love, or head outside for a ride on the go kart track. Watch the incredible athleticism of ESPN athletes and the Timberdogs at this exciting dinner show in Pigeon Forge! "Our family have chosen TN for our family vacation. We have used several agents for our cabin. Cabins for You was the best. When you can put 28 people in one cabin and still have space to enjoy makes a vacation awesome. Everything was furnished and the rates were perfect. 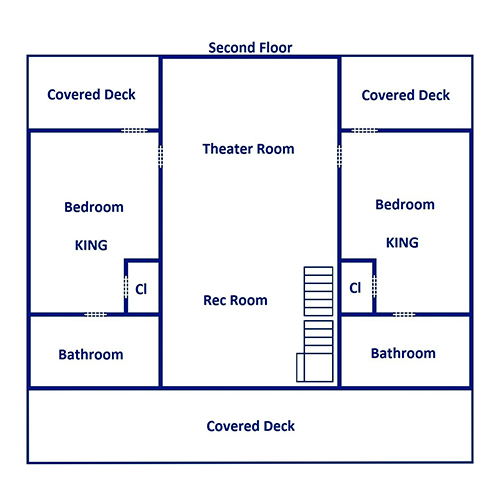 We had a 6 bedroom cabin with a king bed in each room plus two loft rooms with 2 queen beds in each room, inside pool, movie room and game room. 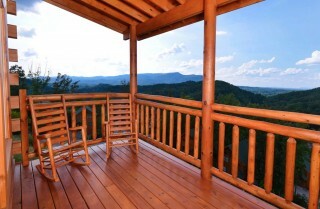 The rates we paid for this cabin was a…"
"Our family have chosen TN for our family vacation. We have used several agents for our cabin. Cabins for You was the best. When you can put 28 people in one cabin and still have space to enjoy makes a vacation awesome. Everything was furnished and the rates were perfect. We had a 6 bedroom cabin with a king bed in each room plus two loft rooms with 2 queen beds in each room, inside pool, movie room and game room. The rates we paid for this cabin was a lot less than the others we had in the pass. 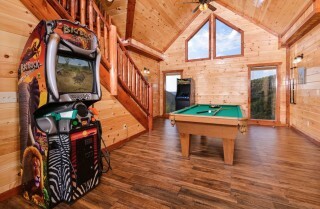 I highly recommend trying Cabins for You and I promise you'll never use anyone else."